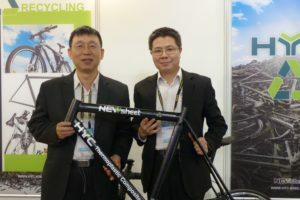 HOLLY RIDGE, USA – The majority of the electric bicycles sold in the USA last year were imported from China or Taiwan. There are some local assembly operations, with the largest one being Prodecotech in Florida. The others are very relatively low volume. 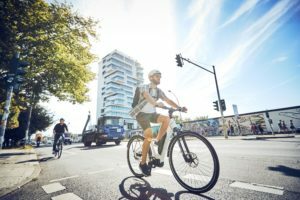 The latest statistics show a decrease in electric bike sales in the United States last year. In 2014 the market was still positive and the volume was estimated at 193,000 units. In 2015 the number of electric bikes imported or assembled for the USA market declined to approximately 120,000 to 140,000 units. From 2012 to 2014 the USA electric bike market grew nicely. It was still small in volume but the growth rate was regarded excellent. Nearly all leading bicycle brands and most bicycle retailers picked up electric bike models. 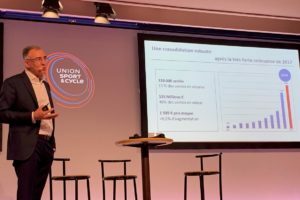 By the end of 2014 there were at least 160 companies or brands that were participating in this market, ranging from established major bike brands to tiny companies operating out of a garage or basement. The 2015 market decline by at least 25% can be attributed to a wide range of factors. First of all as reported by industry insiders and retailers, significant inventories were carried over from 2014. This was confirmed by very low imports occurring in Spring 2015 and long after the start of the cycling season. The next problem is that US citizens are still very sensitive to cheap gasoline. In the past the US electric bike market was very much affected by the price of gasoline and in 2015 the price was the lowest in a many years. This could only result in more interest in cars and less in electric bikes. On top of that, leading brands discontinued some popular low-priced models for 2015. This resulted in the growth in higher priced bikes but was accompanied by a significant reduction in the numbers of lower priced bikes. 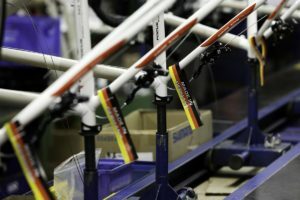 Nevertheless the volumes of higher priced bikes could by no means compensate for the loss in the lower priced categories. 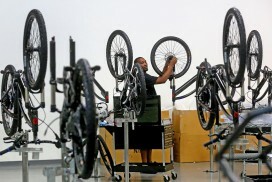 This is inconvenient news for the USA electric bike business, which greatly expanded in previous years. However looking at the European markets I am convinced this is simply a pause in the inevitable growth of the business. 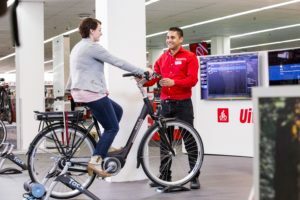 The market is in transition from selling the lowest priced equipment to better quality, better performing, and more satisfying electric bikes. Today the USA has many forces driving electric bike sales, from dedicated consumer magazines to ever greater numbers of dealers. The only questions remains is when will the market pick up again. Due to the lack of an HTS* code for electric bikes assigned to the USA all reports on imports in the USA are based on estimates. There is no method of tracking what is still in stock or has been sold through to consumers. The absence of an HTS code results in a variety of product descriptions. Estimating market volumes can only be done by searching through a known list of terms that might be used. Searching for known consignee names could be an option too, but be aware that that many electric bikes are imported by companies deliberately obscuring who is doing the importing. So, some names of importers are very generic, many are simply freight company names and addresses. This results in guessing the brand name associated with some of these. To conclude the market research these estimates are compared with the results of an enquiry by phone and e-mail among brand managers and retailers. * HTS code stands for Harmonized System or Harmonized Tariff Schedule. Developed by the World Customs Organization (WCO), the codes are used to classify and define internationally traded goods.